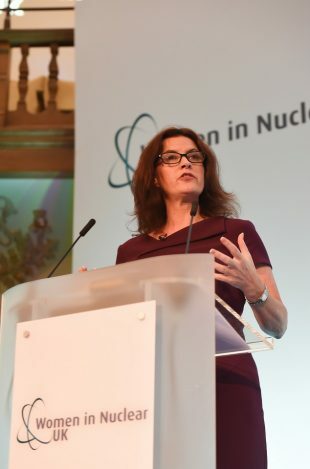 Last week I had the opportunity to attend the 4th national Women in Nuclear (WiN) Conference in London along with another 9 colleagues from the Nuclear Decommissioning Authority. This year’s event was even more interactive and thought provoking than last year’s event. 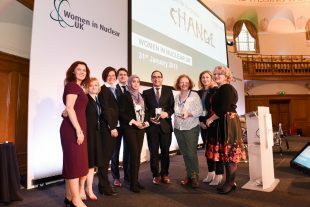 With a number of insightful panel discussions, presentations and workshops, it enabled all attendees to imagine how a diverse sector could look and discuss what it takes to bring this change about. What made this event even more special was the diversity of skills and expertise in the audience. Nuclear professionals from entirely different backgrounds brought their ideas forward to promote and drive results in an area that impacts everyone. In an environment where power to drive change lies in all of us, taking action is the first step in making change happen. While most of us are cautious of errors of commission, i.e. doing something when we should not, we entirely neglect errors of omission, i.e. not taking action when we could. 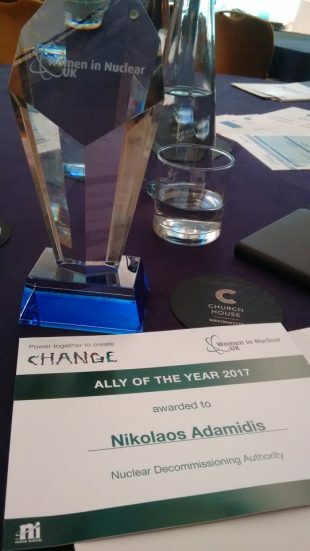 This passion for positive action led to an extremely proud moment for me at the event, being awarded the new Women In Nuclear award category ’Ally of the Year’. I truly hope that my efforts will inspire others to promote diversity in the nuclear sector and beyond. When you sit back in your rocking chair in few decades, you will be able to look back and feel great for all those opportunities that you did not miss! I’ve been inspired to volunteer for the Industry Guidance Committee. 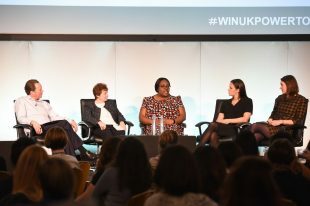 There are lots of activities that you can participate in WiN UK, in its national or regional teams.